Ep10. SWING! Dancing, Big Bands, Joggling and the Flamingo Trot! 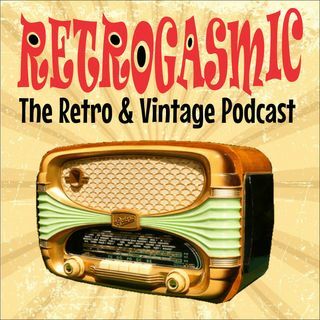 | THE RETROGASMIC PODCAST! SWING OUT SISTER! We talk to Rob Bloom, the man responsible for the Swing dancing / Lindy Hop revival in Australasia in the in 90's, Glenn Miller, The Andrews Sisters, Cab Calloway, Benny Goodman, Duke Ellington and Ella Fitzgerald! Vintage Trivia and Winki does the Flamingo Trot!